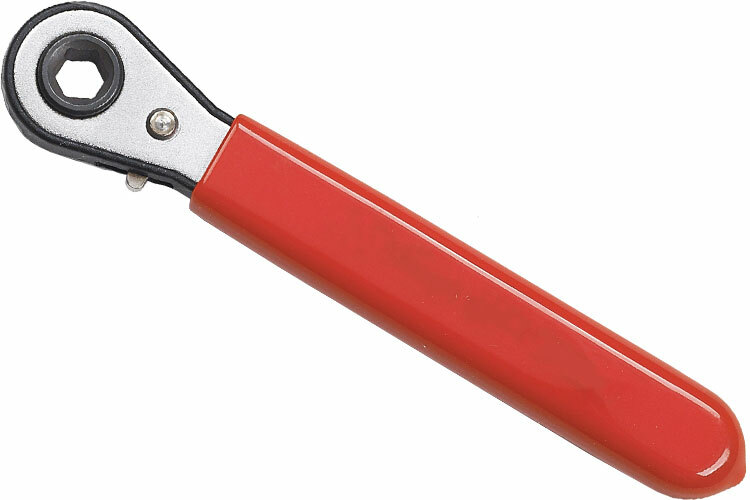 The GearWrench Side Terminal Battery Wrench can be used on most GM side terminal batteries or any 5/16'' battery terminal bolts, features an insulated handle to reduce risk of electrical shock and reversible 5/16'' ratcheting box wrench, and is nickel plated for durability and to resist corrosion. GearWrench battery terminal spreader and cleaner. GearWrench side terminal battery wrench. The 3367 GearWrench 5/16'' Side Terminal Battery Wrench is one of thousands of quality tooling products available from MRO Tools. Please browse GearWrench Battery Tools for tools similar to the 3367 GearWrench 5/16'' Side Terminal Battery Wrench. 3367 GearWrench 5/16'' Side Terminal Battery Wrench description summary: GearWrench side terminal battery wrench. Quantity discounts may be available for the 3367 GearWrench 5/16'' Side Terminal Battery Wrench. Please contact MRO Tools for details.